I first became aware of New Zealand skin solution MitoQ when it was first in its development stages several years ago, and it’s been exciting to watch its progress since. As well as the antioxidant-rich supplement that I have been popping over the last couple of months it’s also a super serum that targets the mitochondria in our cells. Over $50 million has been invested globally researching MitoQ since it was discovered at the University of Otago a decade ago, and now the MitoQ Moisturising Anti-Aging Serum has proved its worth by being awarded ‘Product of the Year’ on New York-based anti-aging site, Truth in Aging www.truthinaging.com. Founded in 2008, Truth in Aging is a community forum with a mission to offer truthful and unbiased guidance to people seeking to improve their physical health and appearance through skin care, hair care, health and beauty products, salon and clinical treatments. 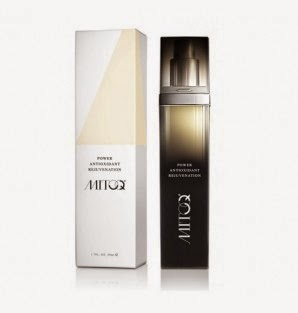 The highly respected website reviews anti-aging serums, moisturizers, eye creams and more. To find the best skincare, consumers test products for 30 days and share their experiences in completely objective reviews. Reviewers and forum members were reprtedly “amazed by noticeable improvement in lip lines, large pores, crepe-like texture, skin tone, crow's feet, the appearance of fine lines, neck wrinkles and dark spots”, and the product was declared an important and potent new product in our quest to turn back the clock. Think MitoQ sounds like a bit of you? You can check it out yourself here.